Another take on the Fed's high-wire predicament. 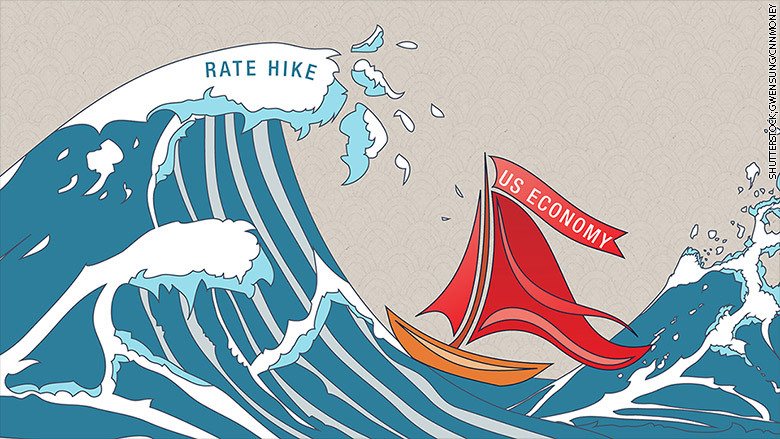 The economy is weak, but it has to raise rates. Which will snuff out the little spark left in the economy. Which will force it to cut rates, but there's almost no room to cut before unprecedented negative rates, and that means yet more QE, which will crush the USD...on and on and on. The Fed has no way out. The Fed is targeting a 2% annual inflation rate as measured by an index called PCE core year over year, reported monthly (with a one-month lag) by the Commerce Department. That inflation index has not cooperated with the Fed’s wishes and is still well below 2%. Both December and January’s reading came in at 1.5%. This undershooting has been a persistent trend and should be troubling to the Fed as it contemplates its next policy move at the FOMC meeting on June 12-13. The Fed’s bungling should come as no surprise. The Federal Reserve has done almost nothing right for at least the past twenty years, if not longer. The Fed is going to find out the hard way that raising rates and reducing the balance sheet will slow the economy. I believe that will ultimately lead to another flip-flop and the Fed will once again loosen. When the market sees that the Fed has decided to flip from tightening to an easing policy, look for increased volatility — and more corrections. The dollar will sink and gold will rally. Do you have your gold yet?